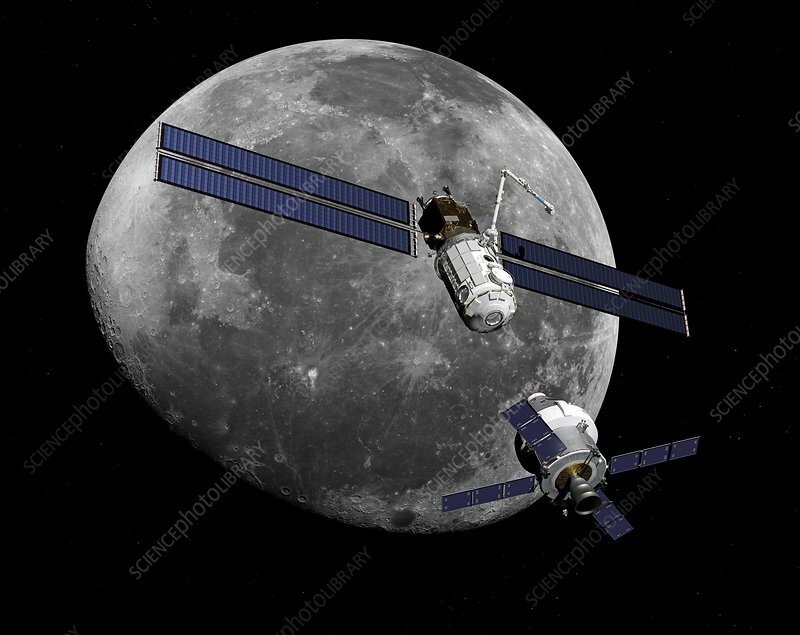 Illustration of a manned crew exploration vehicle (CEV) preparing to dock with the proposed Lunar Orbital Platform-Gateway, a manned moon-orbiting space station. It will dock with the manned habitation module (white). Also seen is the gold foil multi-layer insulation-wrapped Power and Propulsion Element ion propulsion module. The solar voltaic panels have a total length of 53 meters.